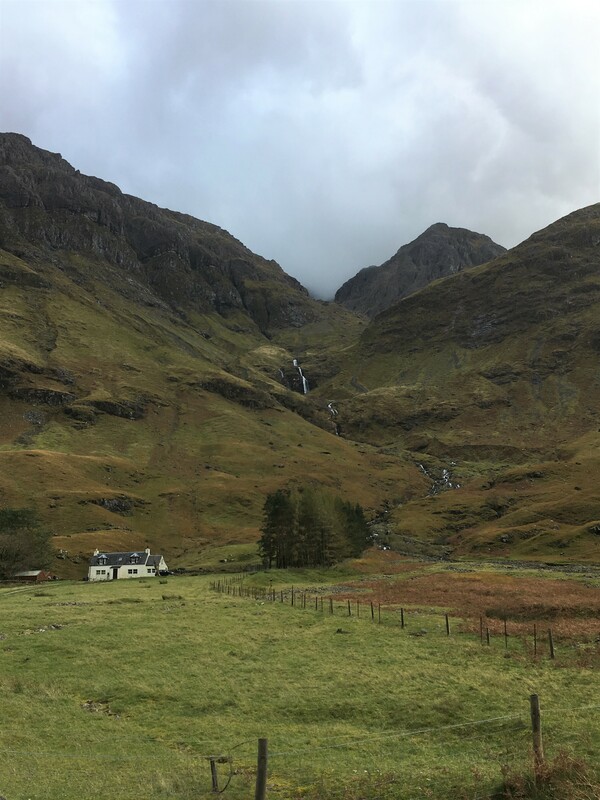 Read Part I of the 2 Day Highlands Tour here. 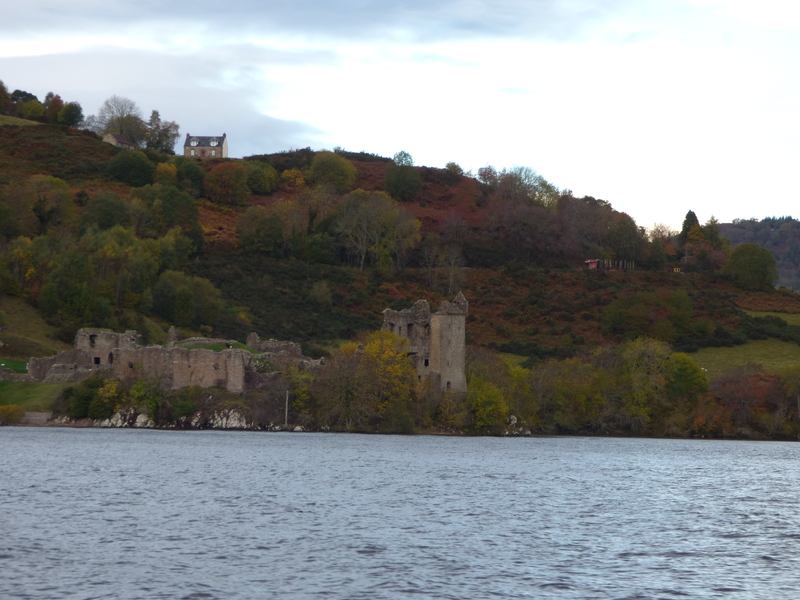 As I mentioned in the previous post, I took a 2-day tour with Rabbie’s Tours to Loch Ness, Inverness & the Highlands. This post will pick up with the second day of the tour. 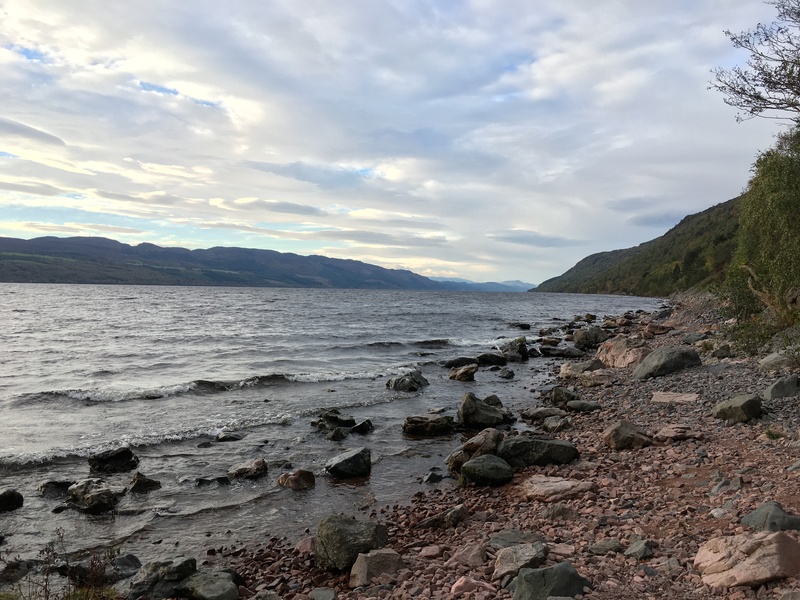 After a good night’s rest in a quiet B&B in Inverness, we departed fairly early in the morning to the rather famous Loch Ness. 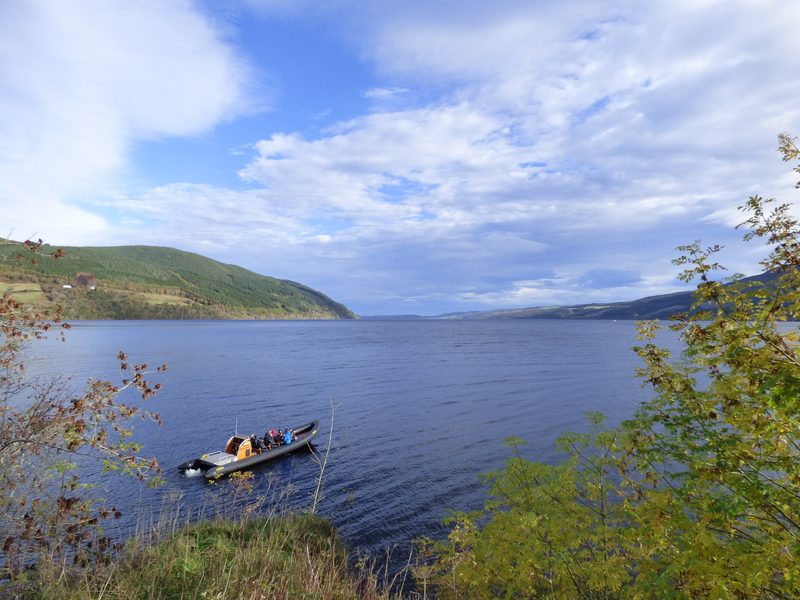 While most people know Loch Ness because of its supposed Loch Ness “monster”, known as Nessie, it’s a beautiful and unique loch for other reasons as well. 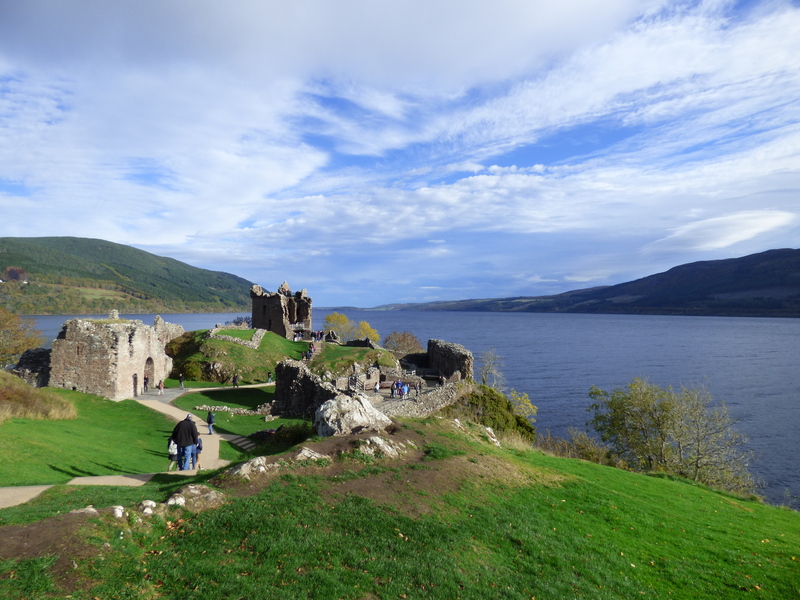 Of the over 31,000 lochs in Scotland, Loch Ness is the largest by water volume. 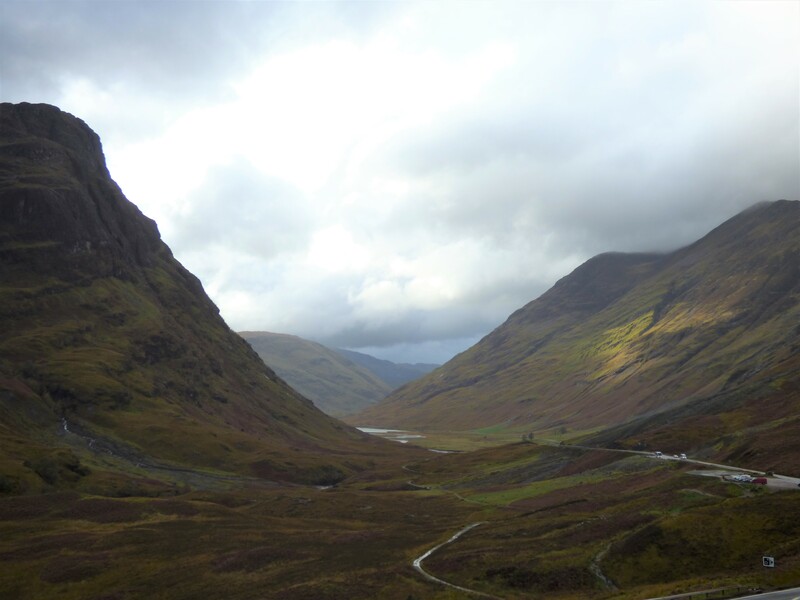 In fact, it’s the largest by water volume in all of the United Kingdom. It stretches over 20 miles long and is incredibly deep (745 feet at the deepest point). 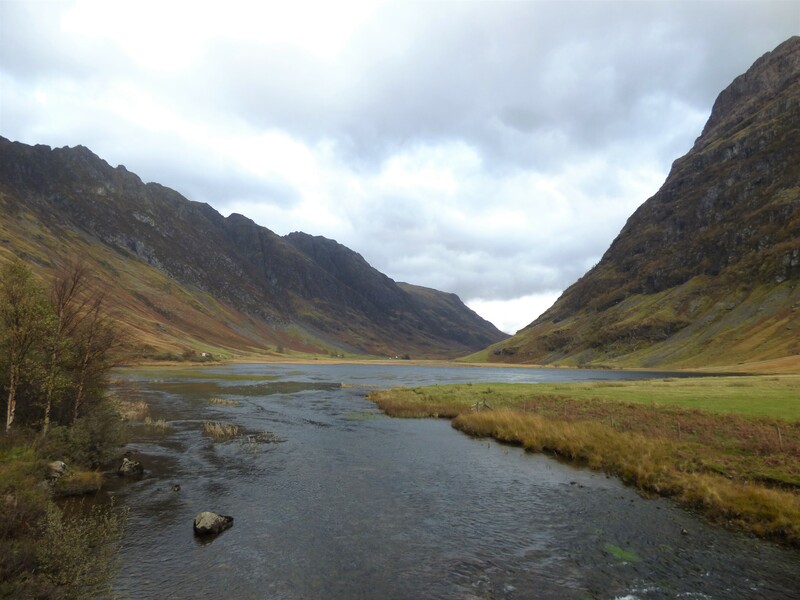 Surrounding the lake are the mountains that the Highlands are known for, and it’s a stunning location. 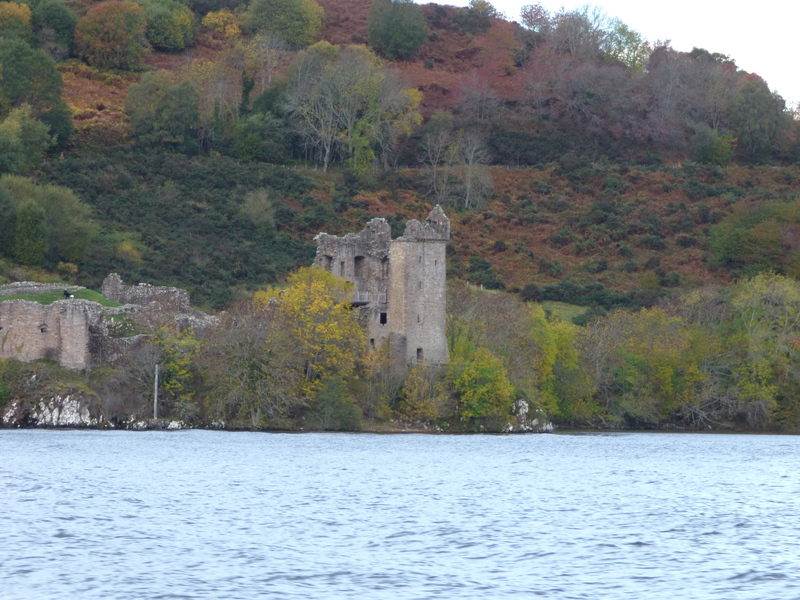 As for Nessie, while no one has been able to prove that he exists, there are recorded sightings dating back as far as the 6th century. 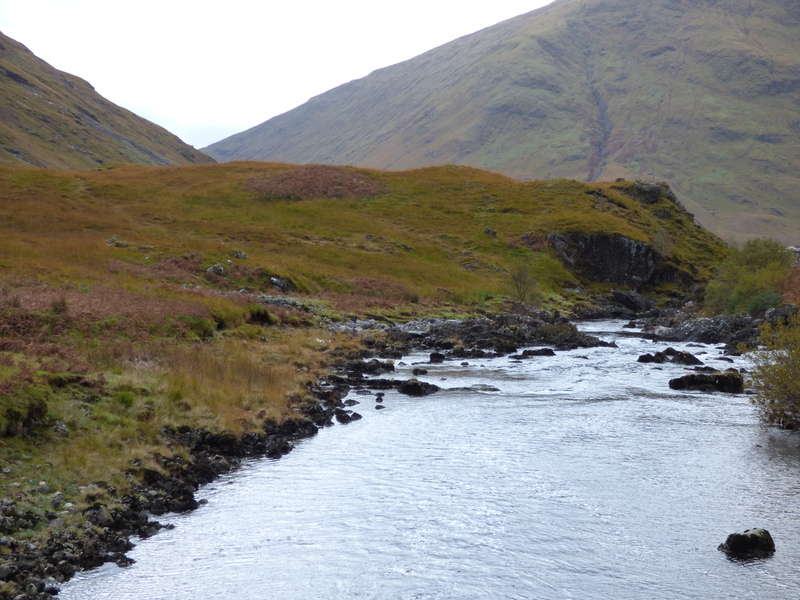 St. Columba, a monk that had come to the area to convert the pagans living there to Christianity wrote about the experience in which the monster tried to attack a fellow monk who was swimming in the lake. Since then, there have been numerous investigations and supposed sightings, but everything has been inconclusive. Who knows? 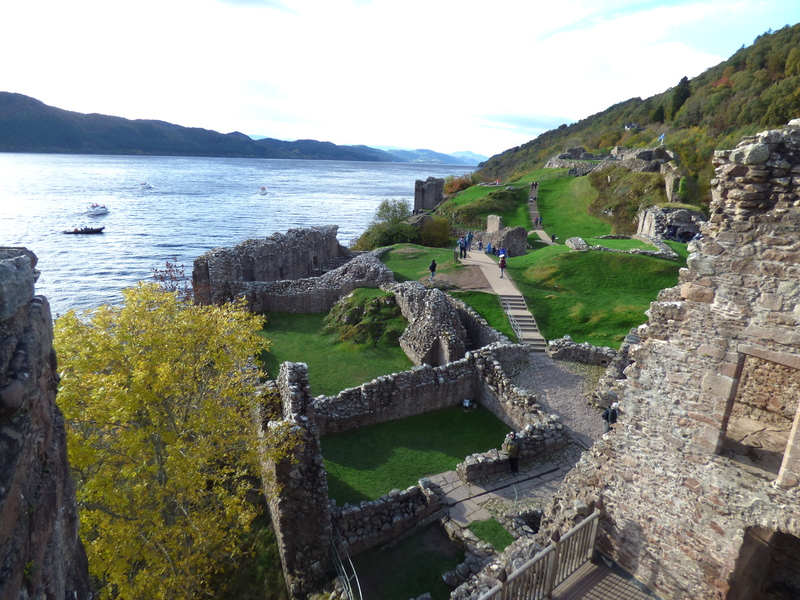 Everyone in our tour group decided to do the boat ride over Loch Ness to Urquhart Castle, which we then explored. 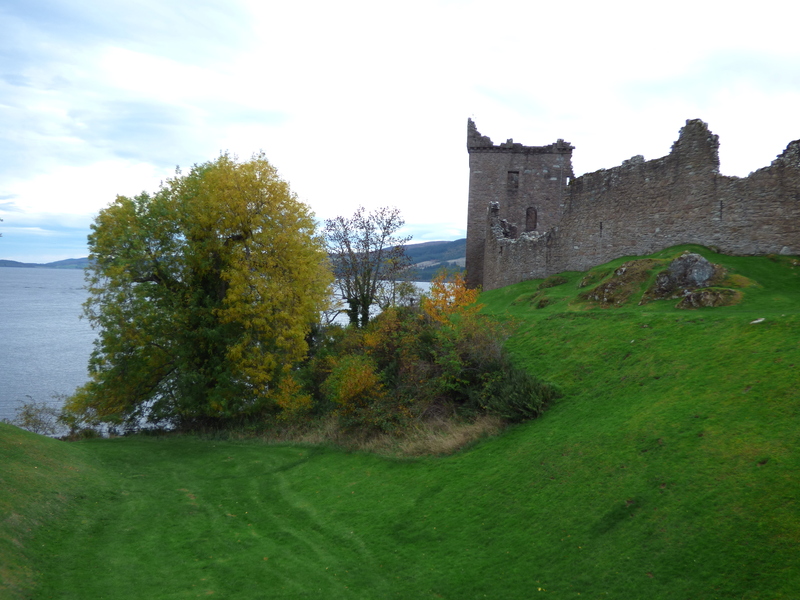 Urquhart Castle is now in ruins and the present ruins were built between the 1200s and 1500s. Despite being a ruin, some walls still exist and one can imagine how beautiful it must have been in the past. There is detailed information telling about the various functions the rooms would have had and an informative video in the information center. 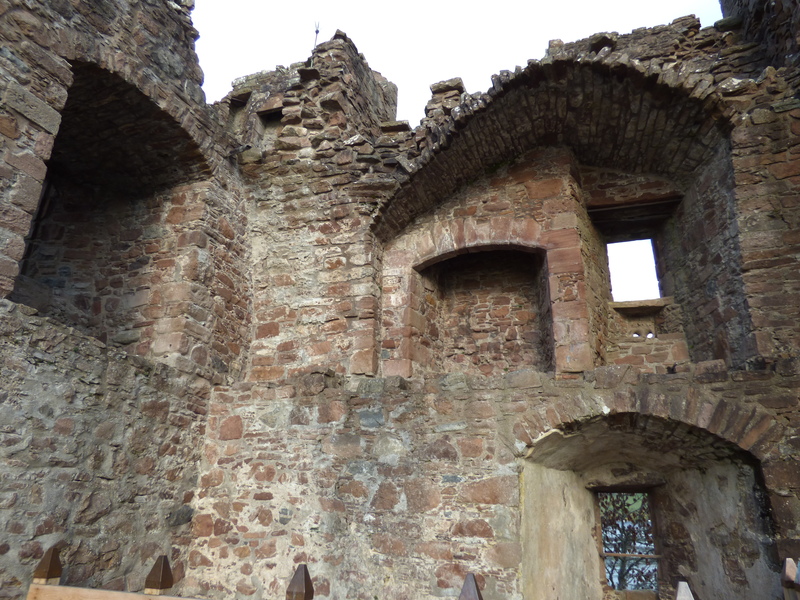 Despite being a ruin, I highly recommend a visit to the castle. 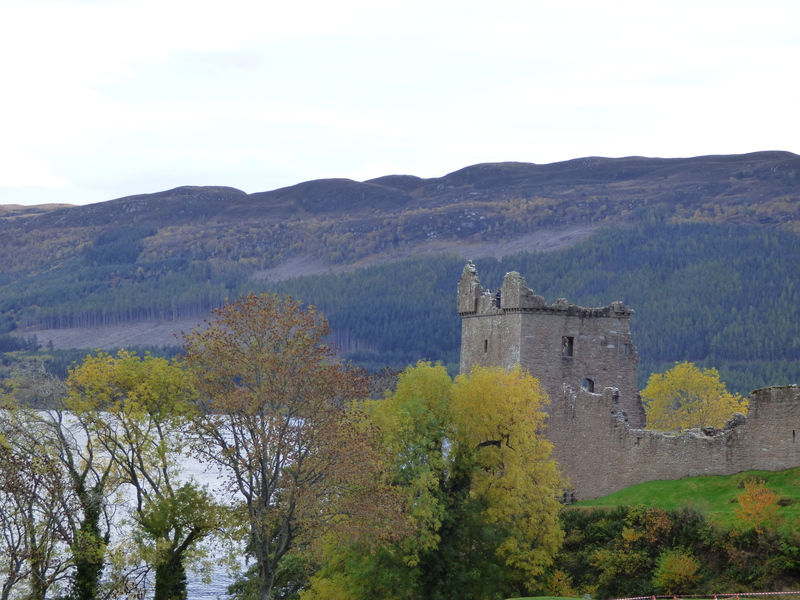 After wandering around the grounds of Urquhart Castle, we headed on to Fort William, where we ate lunch. It was raining hard when we arrived, so I only walked around a little bit. In the late 1800s, it was decided to extend the railroad to Fort William in hopes of increasing tourism. The town had to decide where to place the new train station. At the time, there was an old and very large fort in the town, but the townspeople determined that no one would want to see such a thing, so they tore it down (one wall remains) and used the space to build the train station and other buildings. 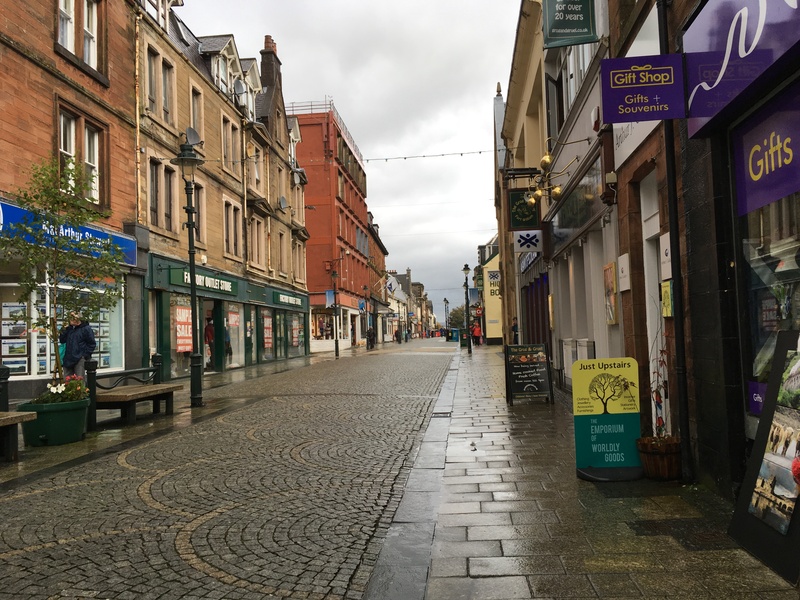 So, while a cute town and a popular place to stop on tours and road trips in the Highlands, there is no longer the fort that gave the town its name. 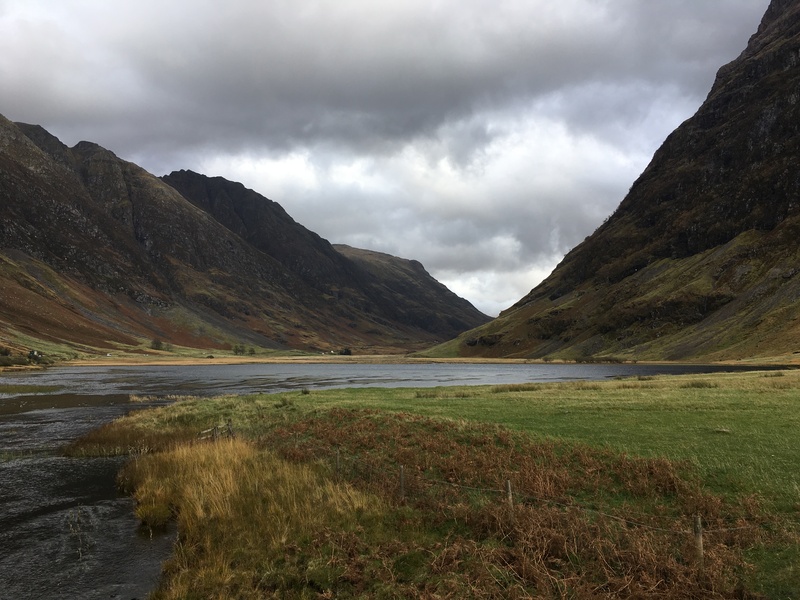 After lunch in Fort William, we drove on towards Glen Coe, which is arguably one of the most stunning areas in the Highlands. 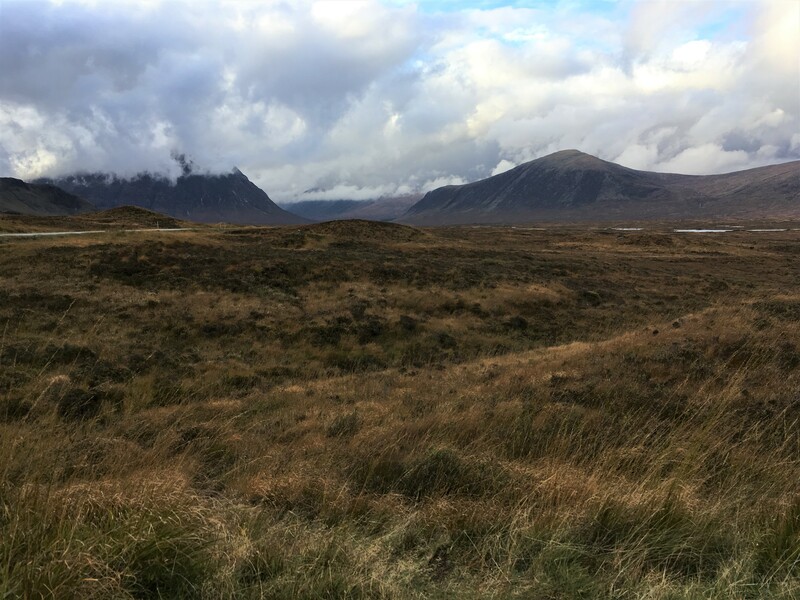 We drove long stretches without seeing any buildings or houses, and stopped at a couple of locations to take in the views. Because it was fall, the hills and mountains were quite orange in brown in color, but still gorgeous. 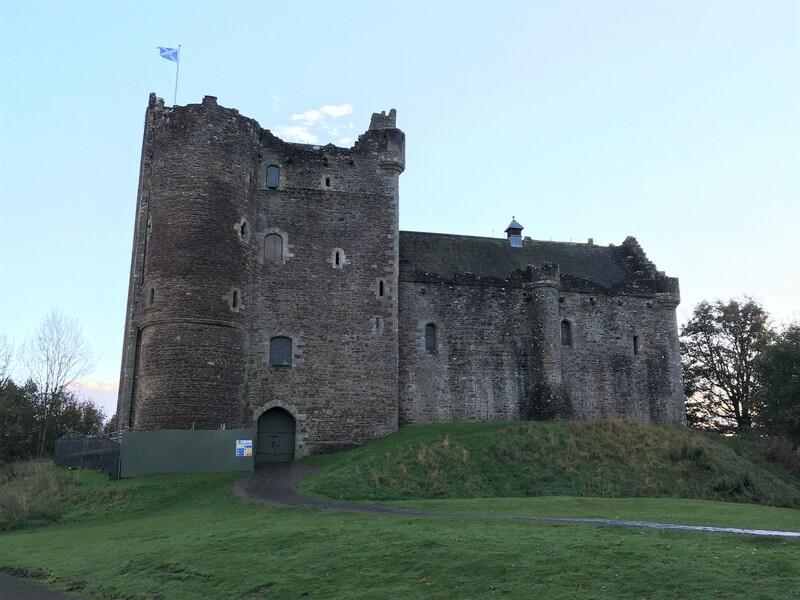 We drove through a small part of The Trossachs before reaching Doune Castle, an Outlander filming location. 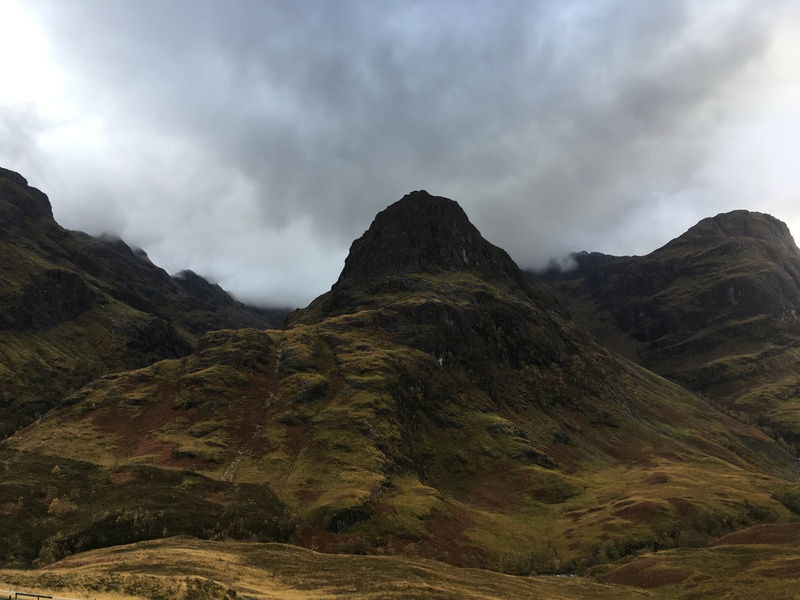 It’s not open to the public, but we got to see the outside before heading back to Edinburgh. 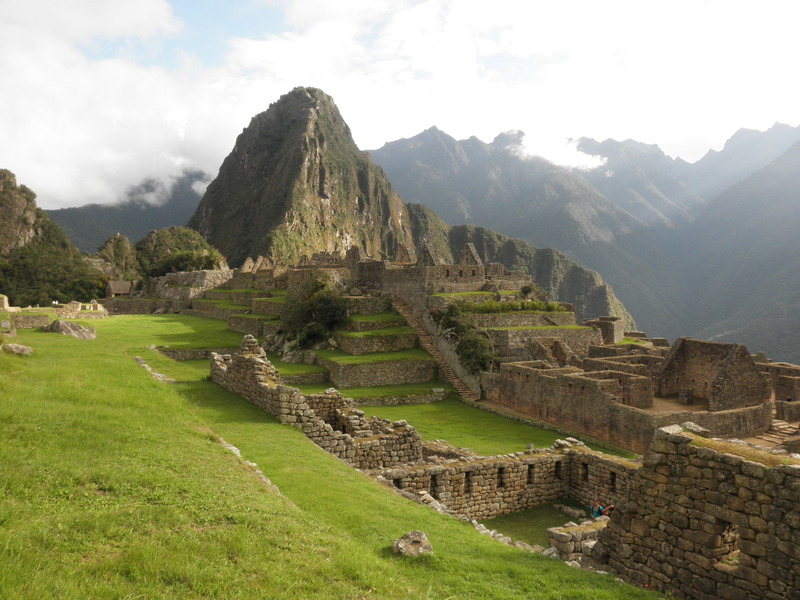 All in all, it was a fabulous day full of amazing sights.